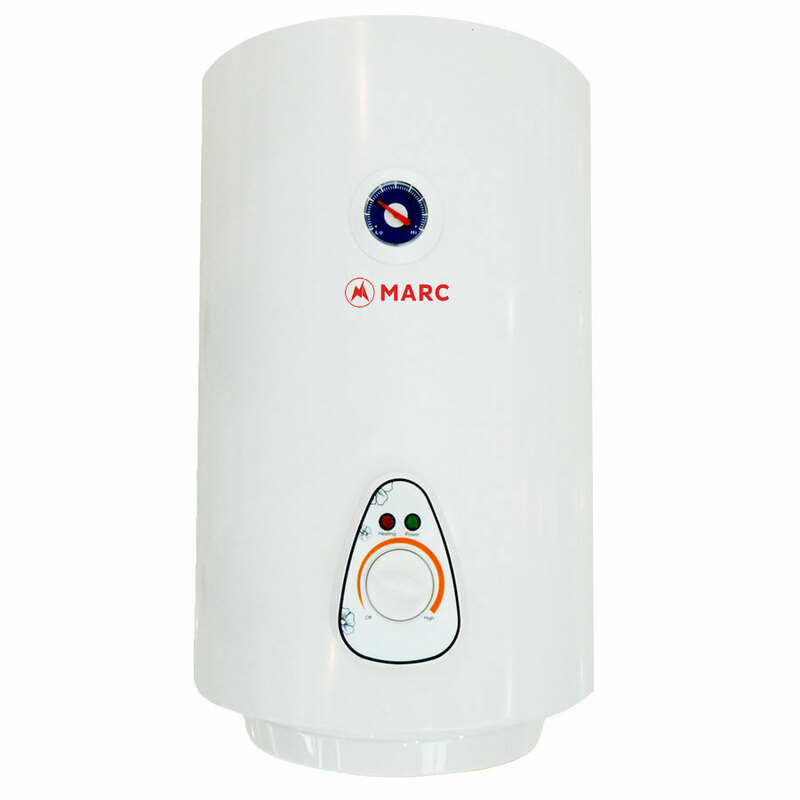 Marc Octa Storage Water Heater with inclony 800 heating element withstand high temperatures and are long lasting even in case of hard water. 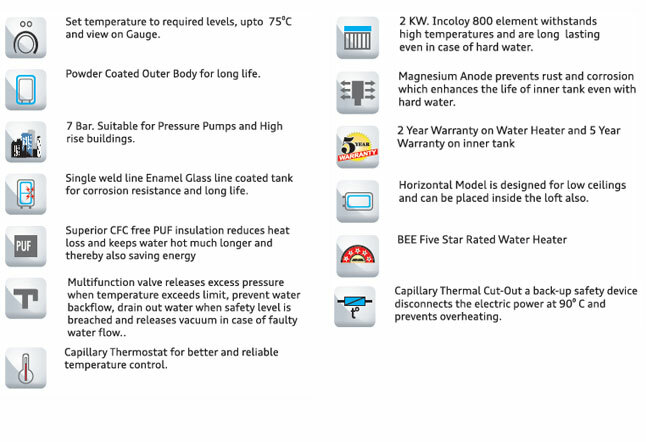 It has powder coated outer body and single weld line enamel glass line coated tank for corrosion resistance and longer life. 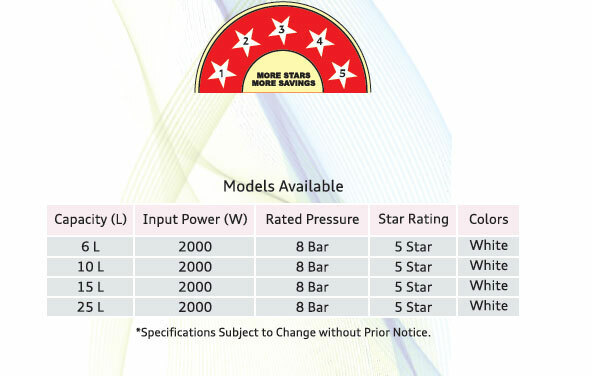 Its 7 bar pressure resistance is suitable for pressure pumps and high rise buildings and magnesium anode prevents rust and corrosion which enhances the life of inner tank even with hard water.